How Google Algorithms Affect Rankings? Home » How Google Algorithms Affect Rankings? The world of marketing has changed drastically since the onset of the internet. What further intensified this was the initiation of a search engine like Google that paved the way to a number of opportunities for marketers. 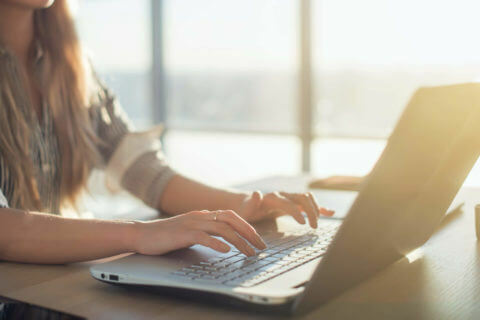 While consumers casually sit behind their mobile phones and computer screens to type in a query, businesses need to do a lot more than just that. Companies that wish to succeed should remain abreast with the changing trends in the online world-and there are plenty of those! Every digital marketing expert probably knows about Search Engine Optimisation (SEO) and if they don’t, what are they even doing? SEO is an integral part of any digital marketing strategy. It helps your page or content rank higher in search engines like our very own Google so that consumers can easily locate your product when they enter a relevant search query. Without creating awareness for your brand name, company and business page, how are you ever going to generate sales and revenue? 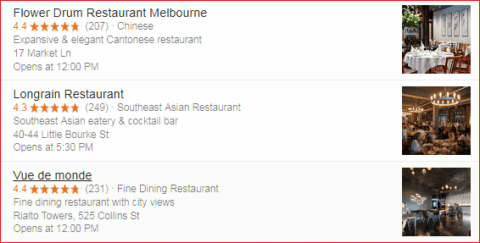 You’re feeling hungry and quickly search for the best restaurants in Melbourne. With these options available, would you even bother switching to page number two? We know we wouldn’t! Along with SEO, you might have also heard of algorithms-Google algorithms to be more precise. Being the most widely used organic search engine, Google enjoys a wide user base, gets the maximum number of searches and is also responsible for churning out a whole lot of impulse buyers! In light of this, do you know just how much are you missing out if you don’t rank higher on this particular search engine? Let’s just say, you might as well not spend on digital marketing at all if you’re going to score a miserable position at page number 2. Now that we know the crucial importance of rankings for SEO, you need to be aware of how Google algorithms affect rankings and in turn, your sales! One of the important aspects of Google algorithms is analysing our words. In the query above, we used “change” currency instead of the more appropriate word “exchange” but Google expertly analysed what the user is trying to say and displays relevant results. Let us explain the basics of Google and Algorithms and how they go hand in hand to determine the ranking your company. Simple? Well, it will be in a bit. Now that we have established the groundwork, let’s move on to the one and only search engine, Google, to see why marketers need to choose their digital marketing strategy for Google rather carefully. First and foremost, let’s take a quick look at the unchallenged power of Google to describe why companies are aggressively learning about Google algorithms and hiring competent SEO services to devise their digital marketing strategy. In simple words, Google is king. Period. Statistics as recent as 2017 show that Google bags the highest search engine market share all over the world with a mind blowing 77%! Just let that sink in. 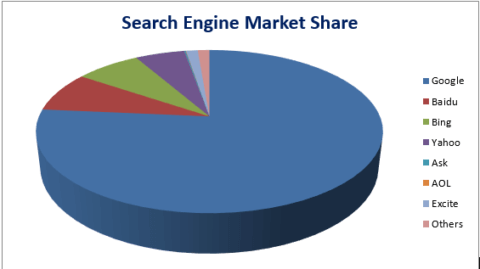 The chart above is enough to lend you a clear cut idea of the far wider user base of Google in comparison to other major search engines. Being uncontested till today, it is no surprise why companies need to train their employees on the importance of algorithms to rank higher on Google search engine. Moreover, with 4,464,000,000 searches a day, Google hosts a tough competition where companies need to really put out their A game to rank highest among all the other competitors’ pages. From the beginning, Google has been committed to providing its users the best experience. After all, it is a business too and strives to achieve maximum customer satisfaction. As a result, Google has a very strict and meticulous set of guidelines that define its algorithms so that the most useful and resourceful content appears the highest in search engines upon a user’s query, successfully leaving its competitors behind by a cascading difference. Google laid out certain commandments when it was only a few years old to abide by. It hoped to relay an excellent search experience to users, even those weren’t sure what exactly they were looking for. However, over the years, people and companies became smarter, and gained insight into how Google search works. While some resorted to relevant and potent SEO strategies to rank higher, others started manipulating the system to fraudulently secure the top positions on Google searches. In order to keep its promise of delivering relevant content, Google acted fast to tweak up its system by introducing fresh changes to its algorithm that filtered out any scams and frauds to maintain its position as the uncontested search engine. Before we go on to describe what these changes are, let’s establish the importance, or should we say, even greater importance of algorithms to rank higher on Google search engine! We don’t even need to define it, Google does the job for us. “You want the answer, not trillions of webpages. Algorithms are computer programs that look for clues to give you back exactly what you want”. Google aims to create a seamless connection between users and the knowledge they’re looking for and for this reason, every thriving marketer needs to be well aware of what they need to do! For every query that you enter, there are millions of pages with ‘relevant results’. Now Google wouldn’t have been this popular if it were to display every single result to you for you to sift through these results. Instead, it promises to save you time and render your job simpler. As a result with continuous efforts, Google is able to deliberate the most relevant results and keep the on the top through more than 200 unique signals to minimise any chance of error. Hence, these “signals” that Google mentioned are crucial for effective marketing. Now that Google has grappled with scams, the only option left for marketers is to learn how to play by Google’s rules! Well played, Google. 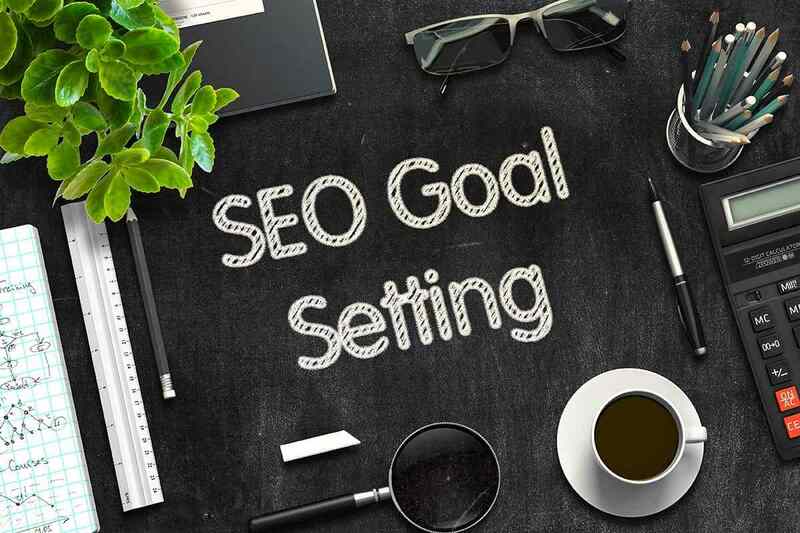 It would pay a marketing agency to keep up with the following latest additions to Google Algorithms to deliver the best SEO services to clients. Let’s see what these major changes are and how they affect SEO rankings. Released in 2011, Google Panda served to rank high quality websites higher than poor quality ones and in 2016, it became Google’s core algorithm. As a result of this change in algorithm, sites sporting original and good quality content started appearing higher on search engines while sites with low quality pages dropped in rankings. Statistics reveal some websites suffered a loss of 79% in their search visibility! The less informative sites were filtered out and that is just what Google has aimed to do. The impact of this was so huge that marketers were forced to realise the dire importance of original and informative content as opposed to duplicated and weak content. Given above is an example of fair links. 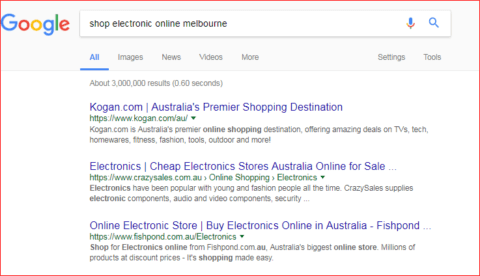 All the links contained when searched for ‘Best digital marketing agencies in Melbourne’ contains links to sites that are deemed well reputed by these pages. As a result, those sites are likelier to score higher on Google Panda. Google Panda segregated high quality content from low quality content. If your website contains a lot of duplicated titles, it will be ranked lower in Google algorithms as opposed to original content. Moreover, a lot of keywords stuffed mindlessly would fare lower than organically embedded ad relevant keywords. A lot of pages that repeat information would also be deemed poor quality in comparison to a website providing informative and useful information that is not simply being repeated. In addition to all of this, Google Panda also eyes the user friendliness of the website. Hence, marketers would be at a terrible loss if they’re unaware of what creates good quality content because ultimately that is what is going to rank their website number one, two or three on Google. This tweet describes how Google’s algorithm spots link schemes and causes a drop in site traffic. 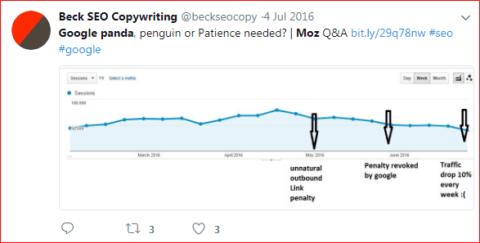 Released in 2012, following Google Panda, Google Penguin also aimed to lend a deserved position to sites that displayed high quality content and rank the sites lower that employed manipulative schemes like linking and stuffing keywords. This turned out to be so effective that it became a part of Google’s core algorithm in 2017. It served to spot sites that were trying to breach Google’s quality guidelines. Google believes keyword stuffing provides users a negative experience and is seen as an attempt to manipulate the search engine and score a higher ranking. Moreover, it warns of link schemes, listing them a violation of Google Webmaster guidelines. Google gives an example of repetition of keywords that renders the text unnatural. Google stresses on the importance of high quality content. It will not be fooled by content haphazardly stuffed with keywords or low quality links. As a result this would have a major impact on your rankings as if you were doing any of the above, Google Penguin is bound to catch you and drop your search visibility. Now can you afford this? No business can. 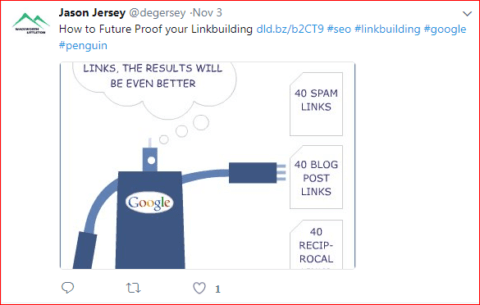 The image above displays how Google Penguin catches spam links.As a result, it is advised that you organically embed keywords within the text instead of mindlessly stuffing them inside. It is also encouraged that you focus on producing unique and relevant content so other sites will naturally link to yours. Link schemes and keywords stuffing won’t get you anywhere, Google claims. Only relevant, informative and original content will so it’s better to concentrate on that. After all, you can’t fool Google algorithms. Let’s take a quick look at some of the ways these changing algorithms affect SEO and how sites rank on search engines. Ranking higher on search engines is important so that your business can reserve a place in the minds of the consumer. If you are settled somewhere on the bottom of the page with irrelevant content and low quality links, no user is going to make the effort of scrolling all the way down, let alone move to page number two and so forth. Similarly, it will lower search visibility and will also lower the credibility of your brand. The search query shown above produces 3000,000 results! The ranking and hence visibility will now depend on Google algorithms. If you’ve spent time producing content that does not adhere to the Google algorithms, then your website is definitely not faring well. What does this do? Now you have a website up and running but it’s not even reaching the customers, wasting your time and energy only because you don’t have sufficient knowledge about the latest algorithms. Every site needs traffic. After all, is it from this traffic that the business will get its share of actual paying customers. However, algorithms can affect your rankings and in turn your traffic. In order to rank higher on search engines and get the traffic coming, you need to be updated with the latest algorithms. 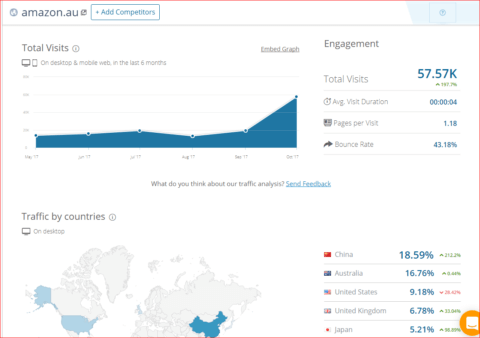 Taking Amazon as an example, this image gives an idea of the engagement on this site. Algorithms even affect your Return on investment (ROI). If you’re scoring lower in search engines, you’re getting reduced or no traffic on your site and hardly generating any sales. On top of this, you’ve probably invested in SEO services that are just not paying you back. 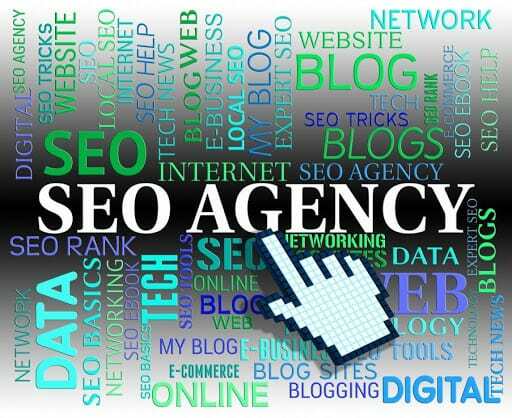 Hence, make sure your business enjoys a high ROI by investing in an SEO agency that is well aware and acquainted with the changing algorithms. Being unaware of Google algorithms or trying to manipulate them for an undue advantage can land you in Google’s bad books. Google penalises sites that do not follow its algorithms and continue to indulge in keywords stuffing, link schemes and cloaking. The end result is that these sites get buried and cannot be found by users. This can severely harm the digital marketing strategy of a business. It can also incur the more serious risk of penalties, especially algorithm penalisations which take longer to recover. It is evident that algorithms affect rankings. Marketers need to be extremely careful in devising a search engine optimisation strategy with reliable and expert SEO services that adhere to all of Google algorithms. The content should be unique, relevant and useful for the readers. Instead of mindlessly stuffing keywords, they should be organically embedded within the text. The links to the site should come naturally and as a result of the high quality of your content instead of you resorting to link scheming. 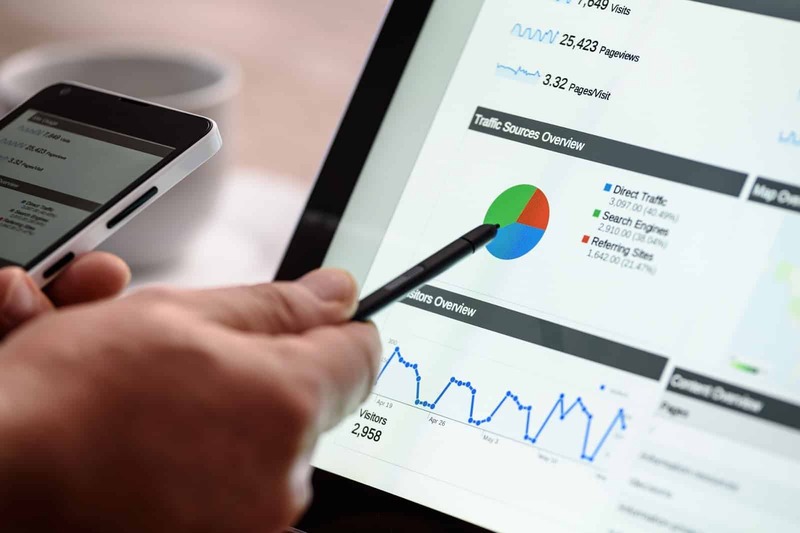 By taking Google Webmaster guidelines as well as the regularly updated Google algorithms into careful consideration, your business can secure a top position in the most sought after search engine in the world!